Before any newly hired staff members can provide care to Illinois nursing home residents, the state and federal government require they be fingerprinted and pass a background check. Unfortunately, not every nursing home administration follows procedures and protocols to ensure background checks have been performed and completed before allowing a newly hired Registered Nurse, Licensed Practical Nurse or Certified Nursing Assistant access to the facility’s patients. Rosenfeld Injury Lawyers LLC represent victims of abuse, mistreatment, and neglect who reside in Illinois nursing facilities like Effingham Rehabilitation and Health Care Center. As a part of the Peterson healthcare system, Effingham Rehabilitation and Health Care Center offers round-the-clock skilled nursing care and the Peterson Pathways Rehabilitation Program, memory care, and Alzheimer’s care. Both the federal government and the state of Illinois routinely update their nursing home database systems to reflect all opened investigations, safety concerns, filed complaints and health violations. This information can be found on numerous websites including Medicare.gov. The deficient practice was first noted in investigators’ findings after an observation was made of a Registered Nurse “performing a blood glucose test” on a resident on the morning of 07/08/2013. The registered nurse “placed the meter on the dresser prior to performing the tests and then place the meter on the bed after performing the test.” The RN “left the room and put the meter on the medication cart and proceeded to get a disinfectant cloth to clean the meter. The registered nurse then “enter another resident’s room… And performed a blood glucose test [...and] placed the meter on the bed prior to performing the test and placed it back on the bed after performing the test.” At no time did the registered nurse “use a barrier for the meter" during the observation. If you believe your loved one was mistreated, neglected or abused as a patient at Effingham Rehabilitation and Health Care Center, call Rosenfeld Injury Lawyers LLC today. 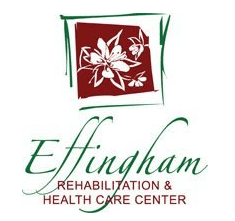 Our qualified Effingham knowledgeable attorneys have years of experience in handling cases that involve mistreatment, neglect, and abuse occurring in nursing facilities throughout Illinois. We urge you to contact our Effingham County elder abuse law office at (888) 424-5757. 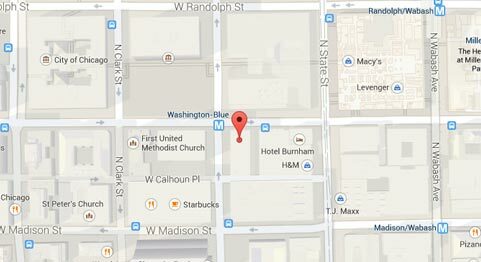 Schedule your appointment today to speak with one of our experienced lawyers for your free full case review. Make no payment upfront for our legal fees. We are paid only after successfully resolving your case by winning at trial or negotiating an acceptable out of court settlement on your behalf.